Comprehensive input for Numerical Production Model – Historically, the Numerical Production model could simulate a range of xf values, for several different values of kfw (with all other values being fixed). For multi-fractured horizontal wells this was sometimes a significant restriction. Thus, the input was modified to allow multiple cases varying any variable. 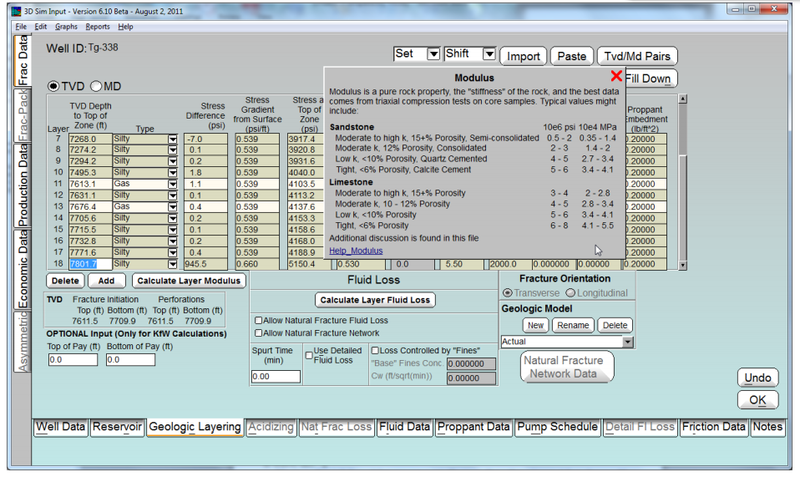 Slant Hole Production Simulation – Ability to simulate production from an unstimulated, deviated well (i.e., slant hole)drilled through multiple formations. The extra flow area of the deviated well acts as a stimulation, and in some instances of moderate to high permeability formations, is compared to a near vertical well with small propped fracture treatments. Extensive New User Help – The “User Help” has been extensively upgraded (although this process is still ongoing). One major new feature is “pop-up” help items such as seen before. 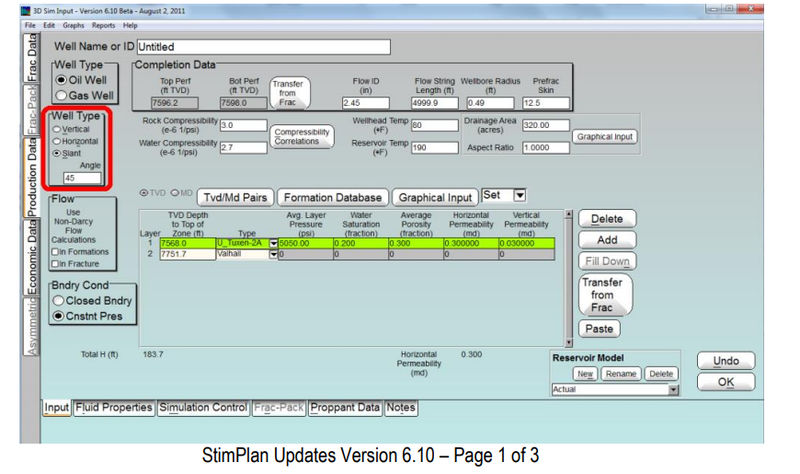 These will “pop-up” once per StimPlan session if the cursor is hovered over an input field (unless “pop-ups” are deactivated in the “Help” menu. Database Files – Greatly expanded fluid and proppant database files. 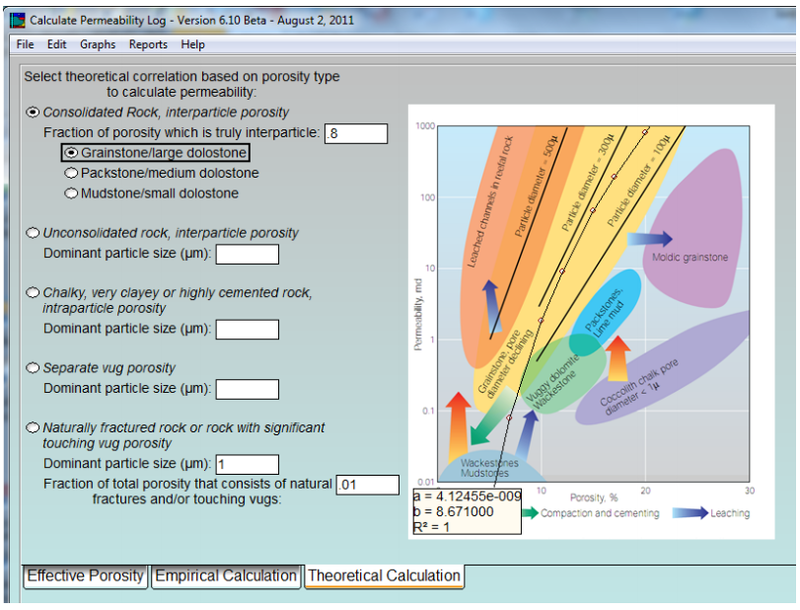 New Log Calculations “Logs” now includes calculations modules for generating an “Effective porosity log from Neutron/Density logs, and for generating both empirical (using laboratory porosity/permeability data) and theoretical permeability logs using effective porosity versus permeability correlations. Water Fracs – Allowed input for a stress sensitive “Unpropped kfw”. 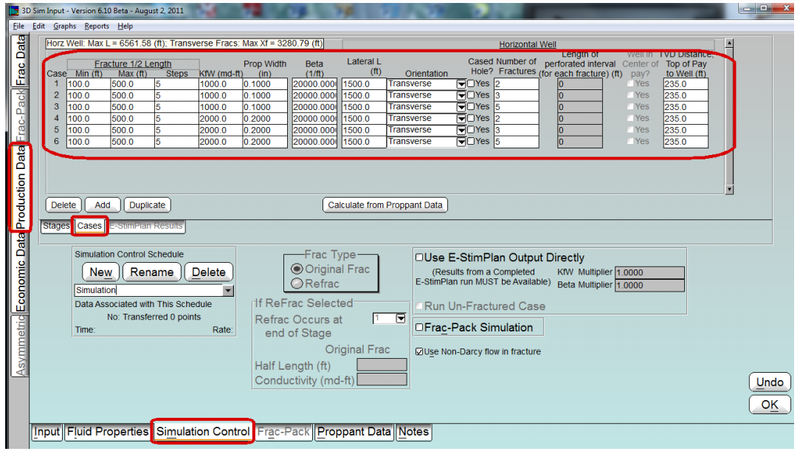 This can be transferred to several sophisticated reservoir models for post-frac simulations of water fracs. Stress Sensitive Propped (and Unpropped) Fracture Conductivity – When passing fracture data directly from E-StimPlan to the Numerical Reservoir Model, the Numerical Reservoir Model includes the effects of drawdown on conductivity reduction in the fracture. Add an option to overlay an outline of the grid on the Contour Plot output.